Most visitors to Puerto Vallarta will stay in the Hotel Zone where all the big hotels have their resorts. In those areas you are better off bringing your own beer from home if you are there for a while and want to drink something other than Corona. Make sure you read the amounts that Customs allows you to bring with you if you decide to do that. We decided for a visit that gives us a true feel of the town and stayed in the Romantic Zone, where Los Muertos sits surrounded by other restaurants and shops. I enjoyed a flight of beers at Los Muertos and they are much better than any of the other Mexican craft beer available locally in bottles. 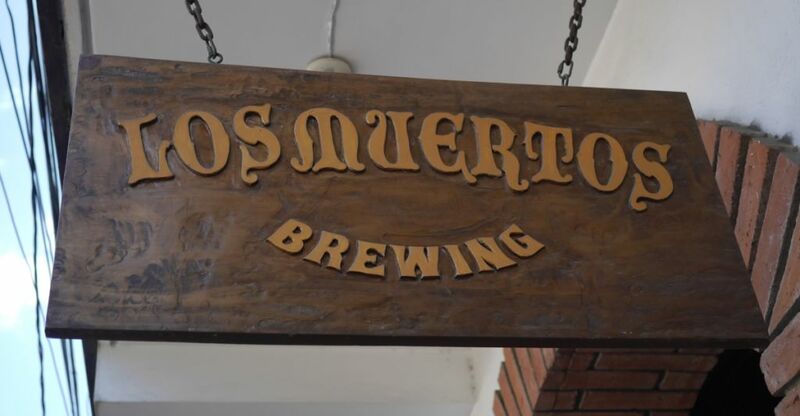 While they don’t live up to the quality of breweries in Tijuana, Ensanada, and other parts of Mexico, they are good enough to satisfy your craving for craft beer. The first three beers were all overly thin and lacking in flavor. The blonde was almost like water. The wheat beer was a little better with some mild citrus notes and hints of lemon. The chili beer was most likely chilis added to the blonde and the chili notes were very mild, giving it very little heat. The amber ale made with agave was more flavorful, mixing notes of caramel and honey on a soft light body with very low bitterness. The IPA was light and soft and emphasized a mild bitterness instead of aroma in the traditional style. It is clean and easy drinking but compared to the modern style of IPAs being made it falls short. The Hop On strong ale was soft and mild with roast and mild smoke and very low bitterness. This was a standout for me compared to the rest. The stout was super smooth with mild roast and a dry finish in the traditional dry Irish stout style. After trying a few other local bottles, I would say Los Muertos is your best bet for beer in the area. Otherwise you might as well order margaritas. They have a fairly americanized food menu so we didn’t eat there. They also sell bottles you can bring back with you to your hotel room. Despite the completely generic name, The Good Beer Company is anything but generic. 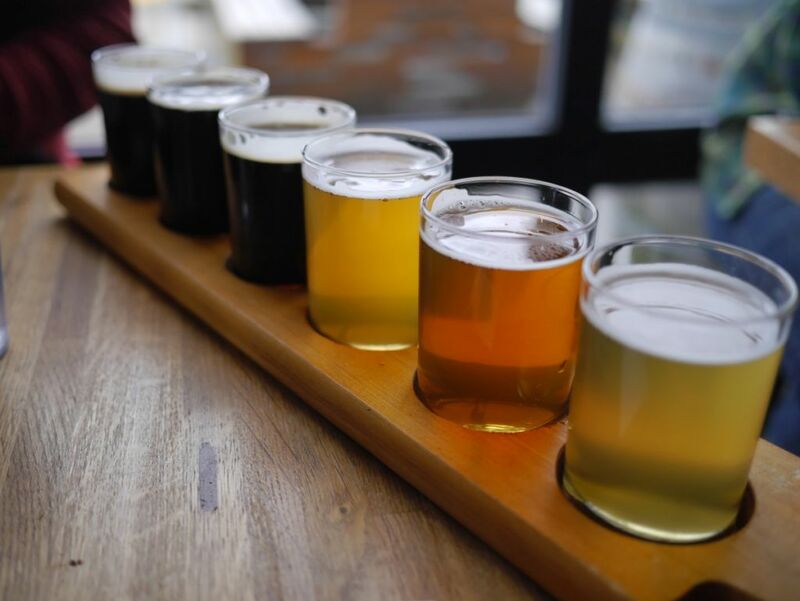 I had heard great things about them prior to visiting from those who love sour and wild ales, though like many breweries experimenting with the style, having a flight of tasters can get quite expensive. I decided to stick to one full beer and ordered an apricot sour they had on tap. It was tart and dry with a strong apricot kick and a high overall acidity. I found the beer to be solidly above average. I could tell that the brewery makes things in small batches and the tap list changes fairly regularly. Everything on tap was either a farmhouse ale, a wild ale, or a sour. 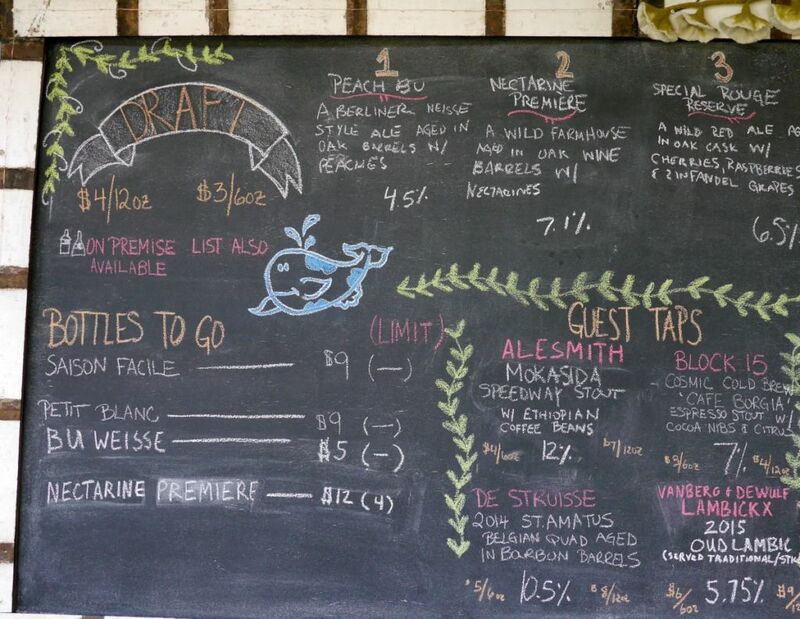 Tasters range from $2 to $4 and so it made more sense to order a full pour of the apricot beer. They are in an old brick building and the place gets quite loud. In a future trip I hope to try some more of their varied offerings but what I tasted suggests that they are on the right track. 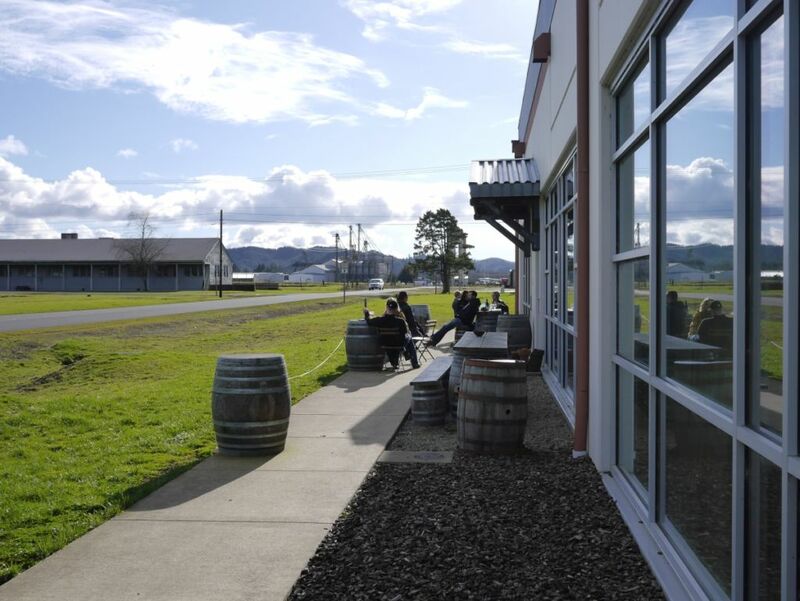 This is a place to visit if you enjoy farmhouse ales, wild ales, or sours. 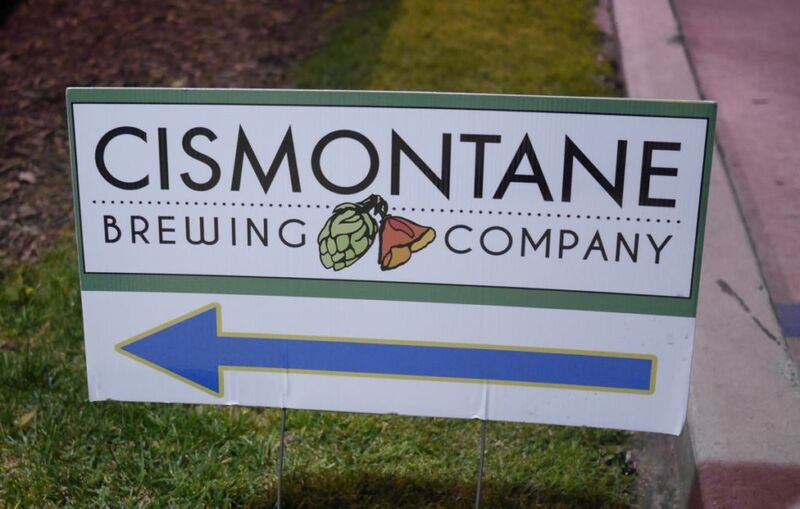 Located in the heart of Santa Ana it is easy to overlook Cismontane despite having been open for five years now due to its proximity to fan favorites in Anaheim. However, the short distance can take a long time to travel during peak hours making Cismontane a great stop if you are staying in Santa Ana since it is close to John Wayne airport. 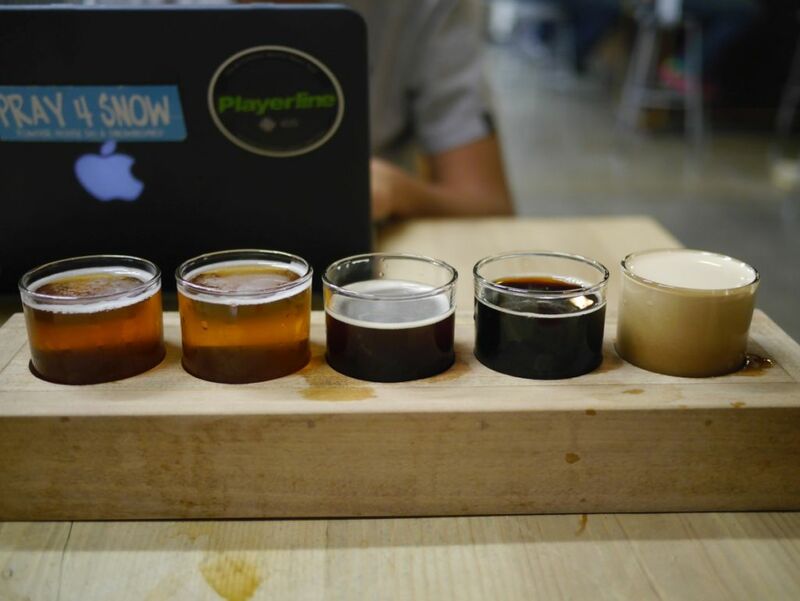 I had a flight of five tasters and overall it was solidly average. While beer geeks driving down from LA or up from San Diego may not always stop here, it is a good spot for locals. The CA Lager was smooth and clean with notes of caramel and fruit, a great rendition of the style. The Rye IPA was a mix of floral and pine on the nose and sticky and dank mouthfeel. It is a well-balanced IPA and not too bitter. The Sour Brown anniversary ale was a perfect balance of caramel and citrus tartness and true to style. The porter was strong on the dark fruit notes with tons of cherry and mild molasses. It wasn’t really my thing. The imperial stout on nitro was excellent with tons of roast and caramel with mild smoke, though also a bit dry, thus not so sweet. Breakside also came highly recommended for my latest Portland trip. Most of the beers I had when I visited were solid but it is hard to follow something like Great Notion. They didn’t have any of their sours on tap, though I did bring a few home with me so I finish with some information about those sours. I had six tasters, mostly a mix of hoppy beers and stouts. The pilsner was quite good with a good mix of spice and fruit and a mild bitterness at the finish. 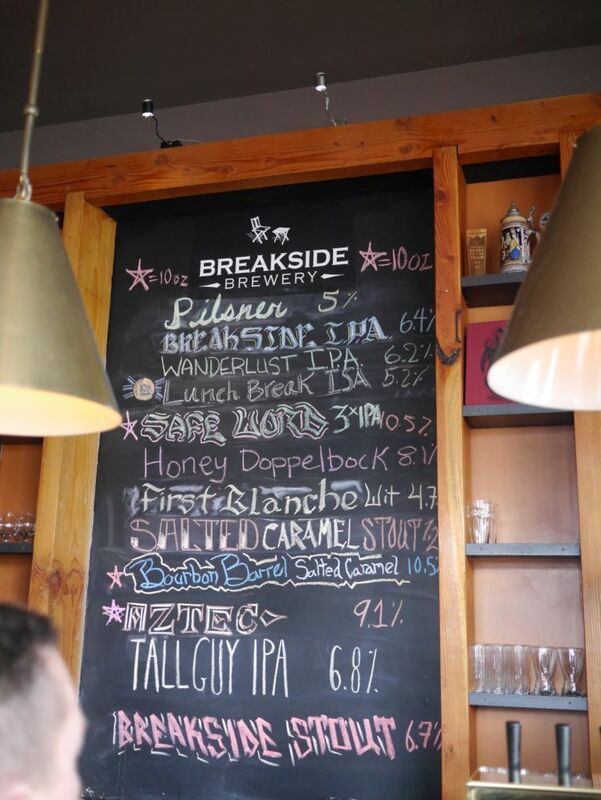 The Breakside IPA was a good balance of pine and fruity notes, a nice modern take on the Pacific Northwest style of IPA. I preferred this over the Wanderlust IPA, which was more dry and had strong notes of citrus with a mild bitter finish. Though part of that might be that they call Wanderlust “West Coast style” and I think they slightly missed the mark here. I was very excited to try their salted caramel stout but I found it to be smoky and quite mildly sweet with minimal caramel. The bourbon barrel aged salted caramel had a thicker body and a solid bourbon finish with a good amount of sweetness and some mild salt. This was the highlight of the stouts for sure. 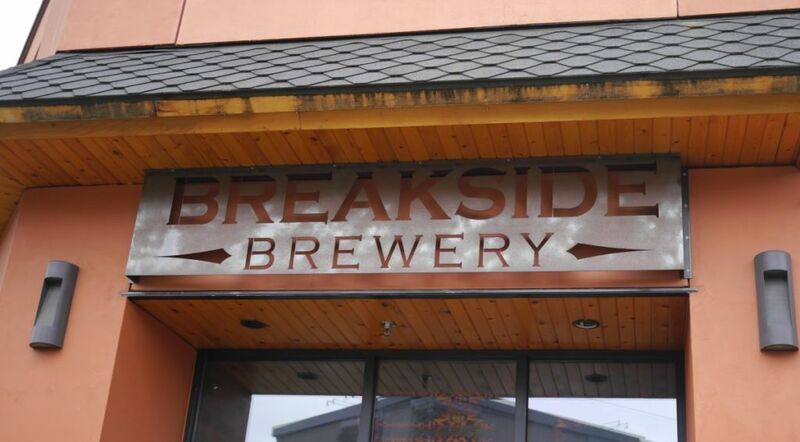 The Breakside Stout had some notes of caramel and roast but it was overpowered by a strong bitter finish that I didn’t care for. From what I had on tap I wouldn’t recommend going out of your way to visit Breakside for stouts, though they are doing a good job with the modern hoppy beer styles. They also have a restaurant so the place was full of brunch crowds as well when we visited on an early Sunday afternoon. I came home with a brett pale ale and dark sour. Both were quite good for the style and I’m glad I picked them up. The dark sour was especially nice and smooth without being overly tart. Bourbon Barrel Aged Salted Caramel Stout. 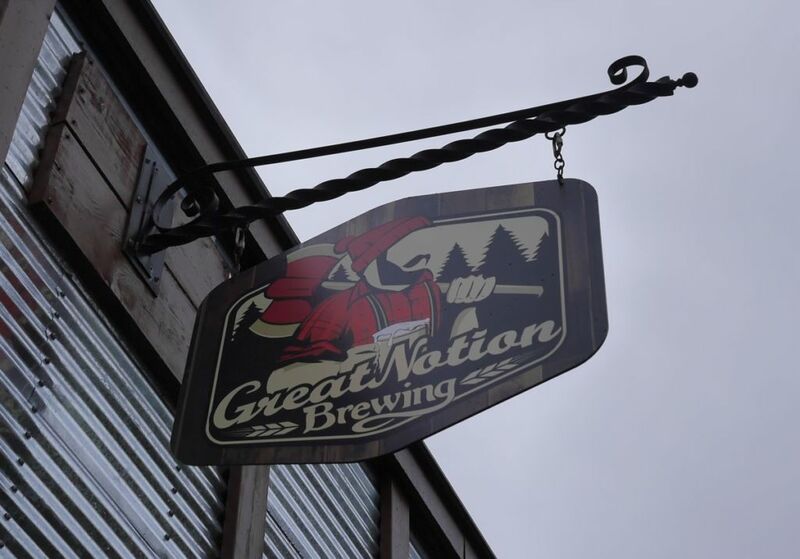 Great Notion is a young Portland Brewery that has gained a huge following thanks to their embrace of quite a few beer trends including juicy IPAs and big adjunct stouts. When I visited on a Sunday they had a decent crowd upon opening because they also serve food and many people were there for brunch. 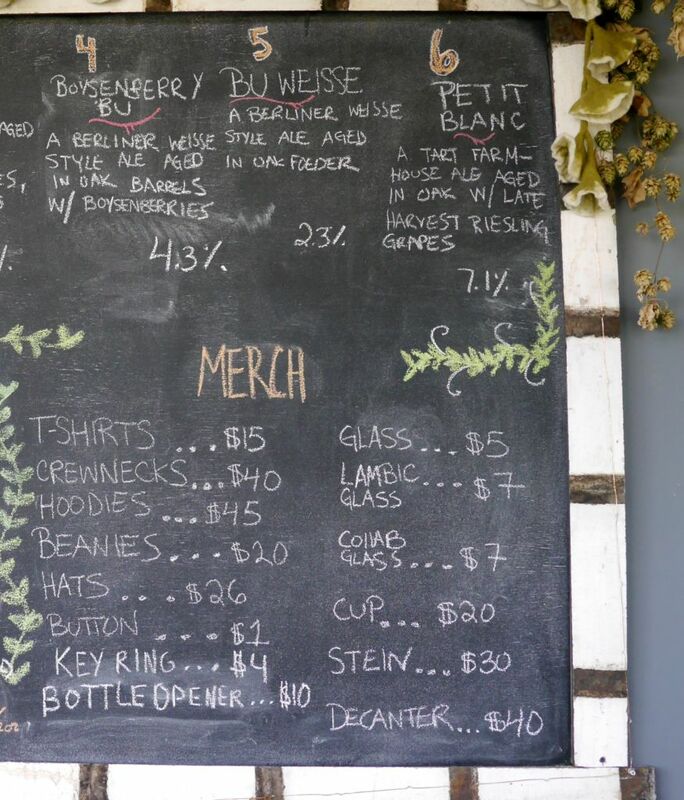 They offer a few of their beers on any given day in crowlers that you can bring home with you. I had a flight of the seven beers they had on tap and was overall quite impressed. 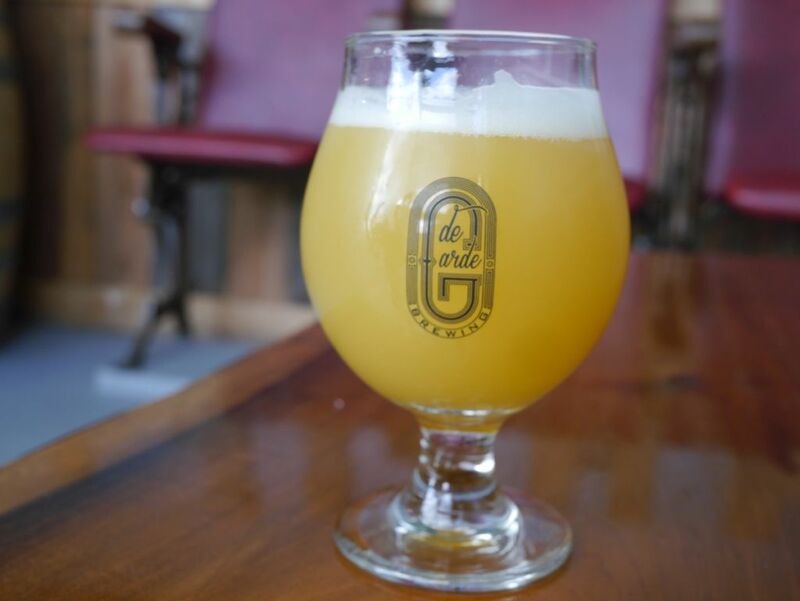 The Old Barn tart saison was a light amber color with an excellent balance of citrus notes and a mild tart finish. It was an excellent beer for the style. 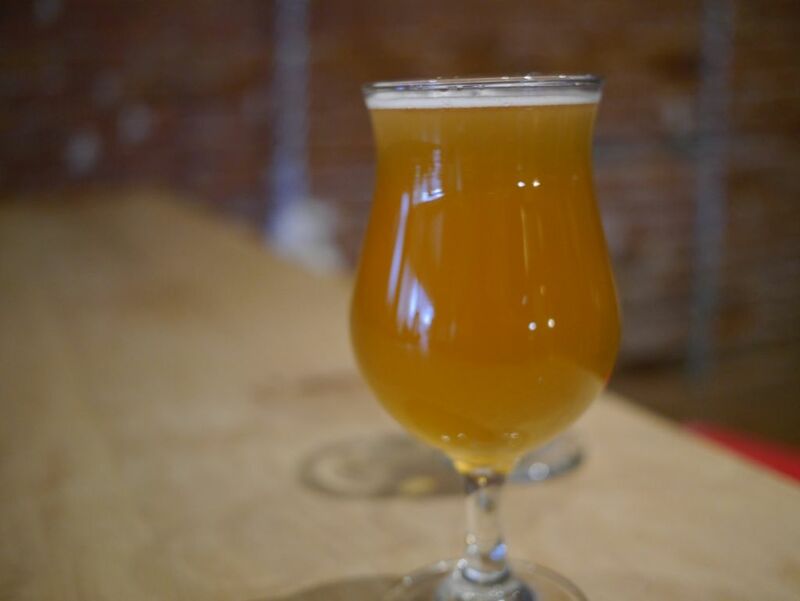 The Blueberry Muffin takes a style of saison that tends to taste like white cake and adds blueberries. The flavors blend together wonderfully so that it really tastes like you are drinking a blueberry muffin. If you are in the mood for something sweeter, but not overly sweet, this one is for you. On the IPA side, I had the Grass Roots, a dank IPA with mild herbal finish and notes of grass. Though ordinarily I wouldn’t be the biggest fan of the hop profile the flavors were balanced and it worked quite well. The Juice Junior was the hazy IPA of the day and it had a super soft body and tons of melon and sweet tropical fruits without much bitterness. After these, the Black Math, black IPA didn’t stand a chance, despite being well done. It had notes of smoke, toasted marshmallow, and bitter chocolate with a light bitter finish. This was a well done black IPA but I much preferred to drink the others on my flight. The double stack imperial stout with maple and coffee came on strong with tons of coffee and maple with a smooth lactose sweetness that didn’t overpower the rest of it. I can see why this one is so popular. I finished with Stacks of Coconut, their imperial stout with coconut. It was pure liquid coconut, a total coconut bomb with hints of vanilla on the finish. Like double stack, it was just the right amount of lactose to support the beer. 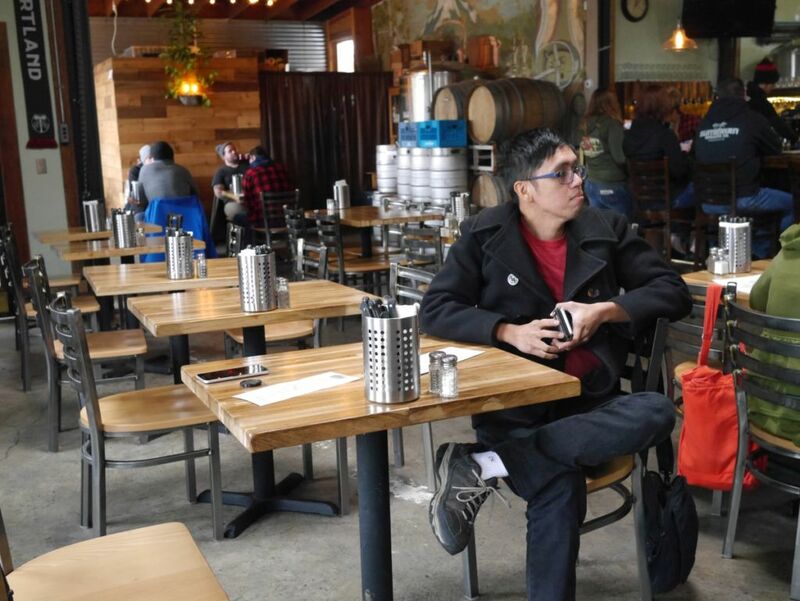 For IPAs and Imperial Stouts in Portland, Great Notion rocketed to the top of my list in this short visit. I hope to return soon. Keep in mind that since it is a restaurant it has a fairly high amount of ambient noise and the seating at the bar is fairly limited. 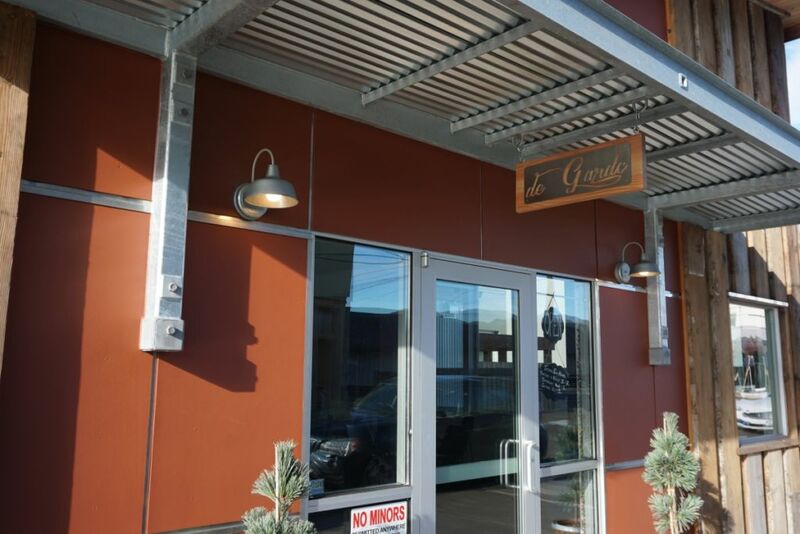 I don’t have a lot to update on the quality of the beer at De Garde but I found out in my recent visit that they have a nice new tasting room in the center of downtown Tillamook. This new spot has a lot more indoor seating than before and a large outdoor patio for people to hang out. 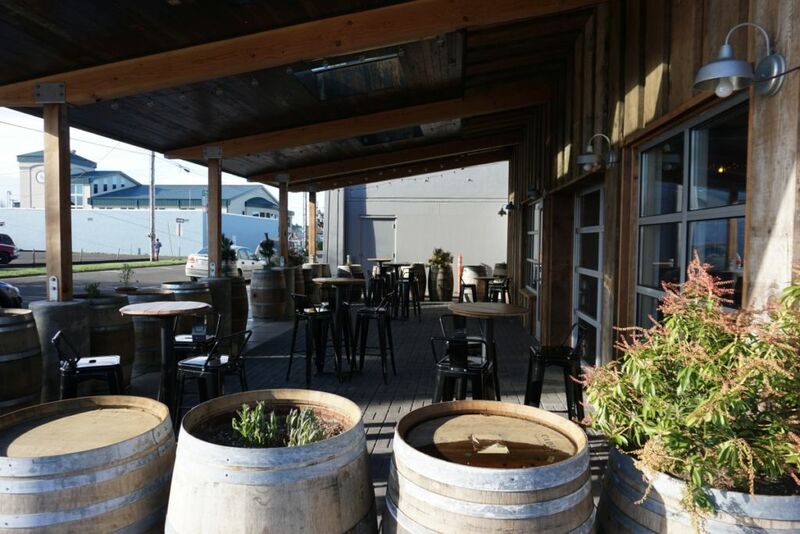 This is one of the few places where it is worth coming out and staying the night so that you can fully explore their beers including trying a vintage bottle or two from the cellar. Tap list with more taps than before. Though they have now 12 taps, they had 8 of those as guest taps when we showed up. So if you really want to explore their beers you may have to try some bottles. I found out that lately De Garde has been selling out pretty fast when it hits Portland area so I had no choice but to make the drive to pick up some bottles at the source. We get their bottles in San Diego occasionally but not always the fruited sours that are the most popular. 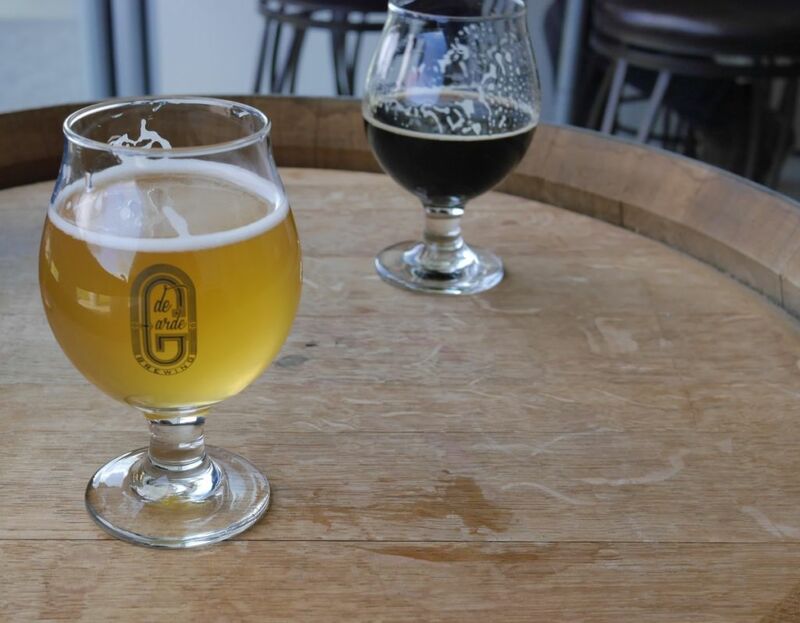 De Garde continues to offer beers at great prices at the tasting room. $5 or $6 for a 12oz pour of barrel aged sours is below typical market. 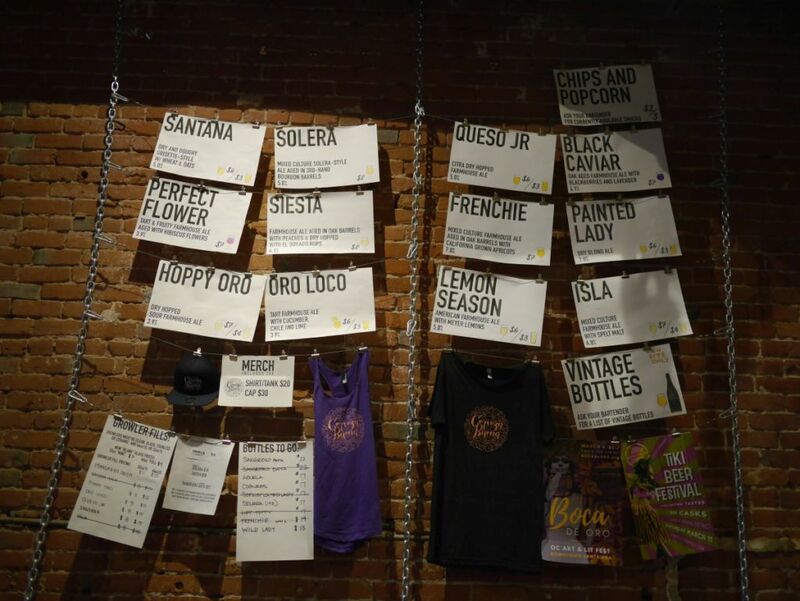 I really enjoyed the Lucy muscat grape sour on tap when I visited though I wish I had tried a splash of the jester king collaboration before ordering it as it was too funky for me. During warmer months I expect the patio to fill up even more than it did this day. Thankfully a lot of people make the drive mostly to pick up bottles if they have already visited, meaning crowds rise and fall quickly. 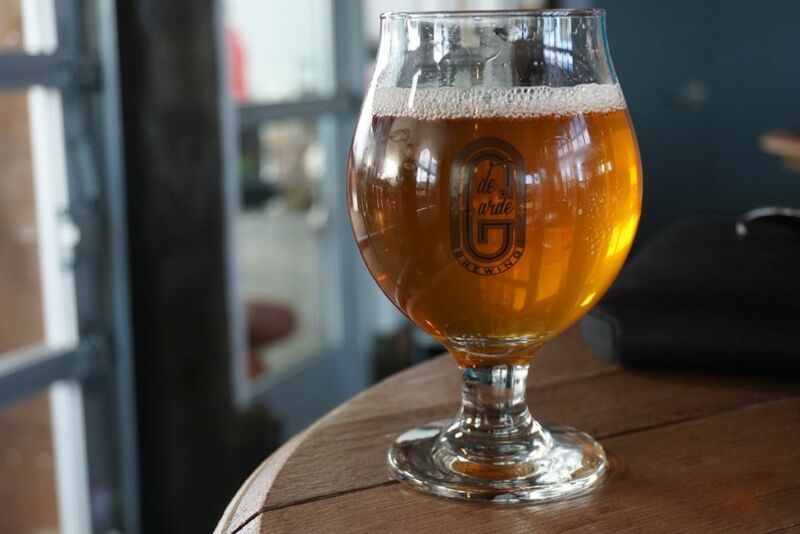 De Garde has a reputation for making fantastic wild ales in their brewery near the Oregon coast. To get there you will probably have to drive from Portland for an hour and a half minimum in each direction through windy roads and a pass that sometimes gets snow when it is cold enough. I visited in late February 2017 and it rained most of our drive through the pass to the west and snowed the night we stayed out there so that it was coated in white on our drive back East. This is one of the few breweries that has completely lived up to the hype for me. 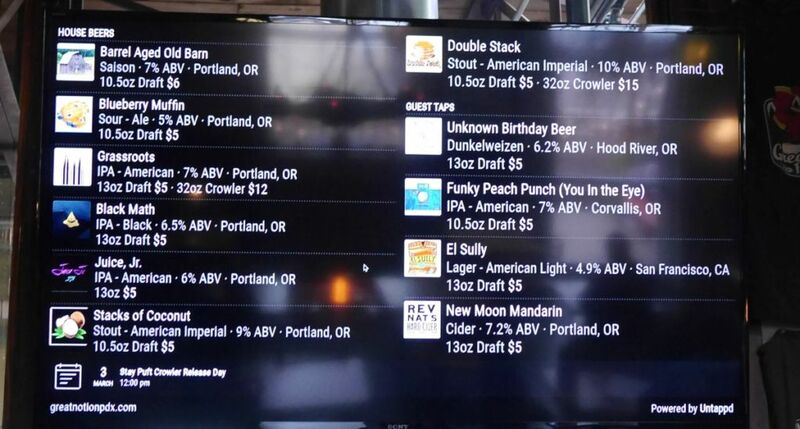 If you don’t want to make the long drive you can usually find their beers around the Portland area. They are even showing up occasionally in San Diego as well. 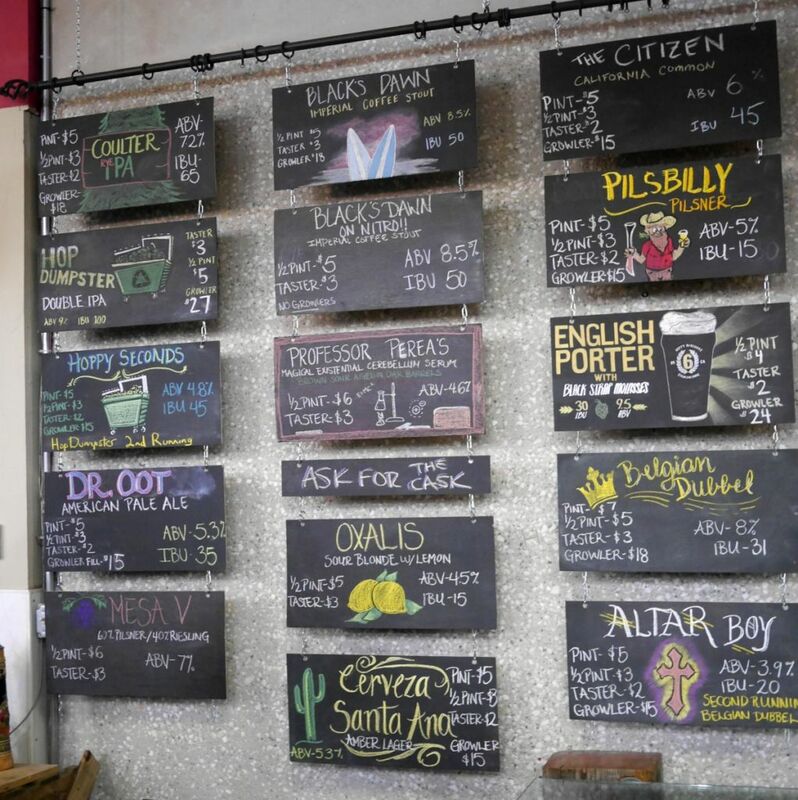 In the tasting room you have a choice between paying $3 for a 6 ounce pour or $4 for a 12 ounce pour, so I naturally stuck to full pours before ordering a bottle out of their cellar. 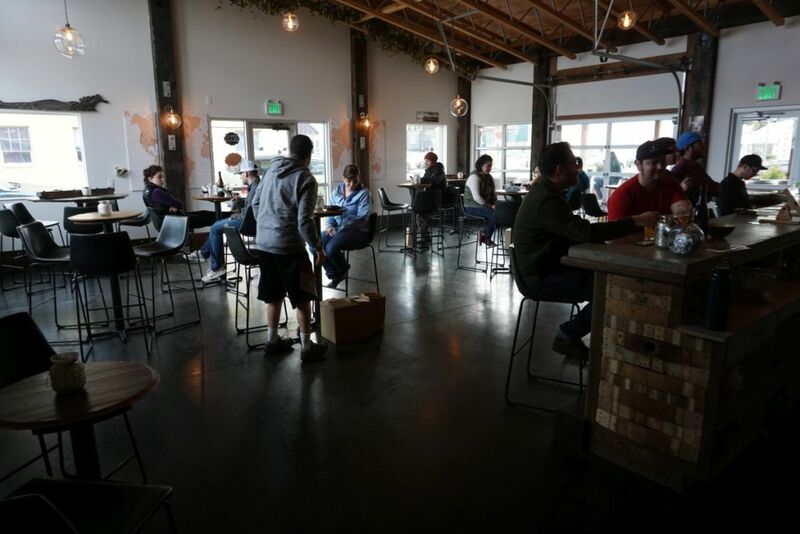 While there is outdoor seating, since it tends to rain quite a bit, if you arrive on a rainy day you might find the tasting room a lot more packed with people than it was on the day of sun when I visited. 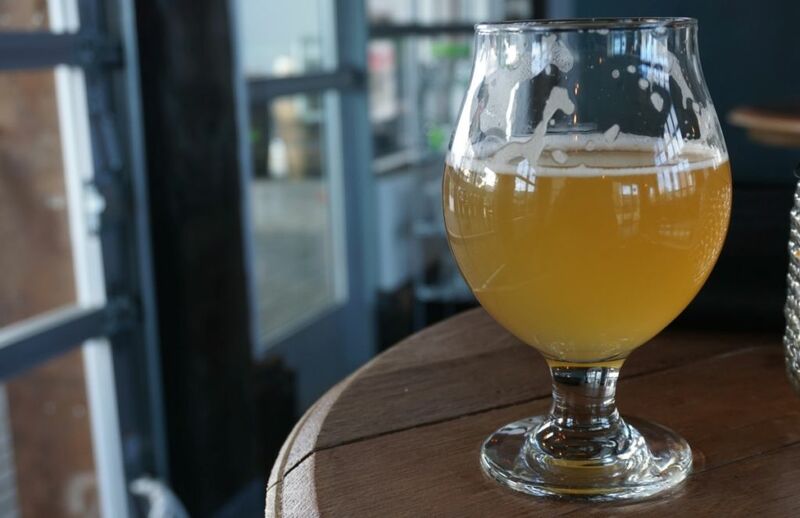 I started with the famed Bu Weisse, a 2.5% beer that is still quite flavorful thanks to the time it spends in oak barrels. The beer had a good medium body and notes of lemon and lime with oak on the finish. The brewery regularly makes fruited versions of this same beer but I much preferred its base version. They also make a stronger version that spends much longer in the barrels. I went next for the Nectarine Premiere, a fruity beer that I was quite excited to try after the rave reviews. It is not a standard stone fruit sour but instead is a soft juicy beer with minimal tartness that at times reminds me of fruit puree. It hides the alcohol well and was so delicious I had to bring home quite a few bottles for myself. With a choice on tap between fruited Bu and a beer I recently had down in San Diego, I ordered one of the bottles from the cellar, the purple kriek, a beer brewed with cherries and raspberries. This is more of the traditional lambic style beer with a strong tart finish but still plenty of prominent cherry and raspberry notes. The acidity was quite prominent so I opted to share some with people near me. Before heading home I purchased some bottles of De Garde’s Saison Facile, their wild saison. In Portland I picked up two bottles of the Alt Bu Weisse, aged for 3 years in oak barrels. This is one of the few breweries outside from major cities that I can see myself visiting again for all the delicious beers they release throughout the year. It also helps that most of the bottles are priced lower than most California breweries making the same styles of wild ales and sours. 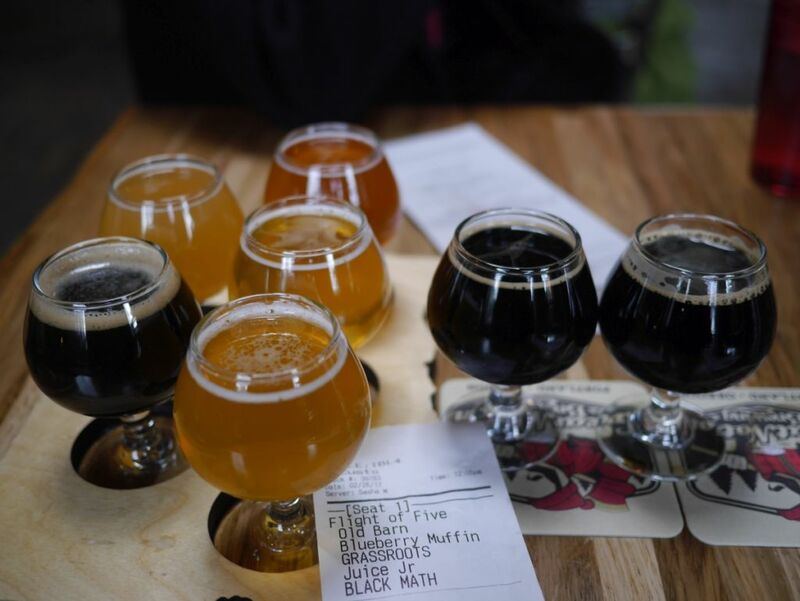 If you happen to be traveling with a friend who doesn’t like sours, they tend to have a few stouts on tap from other breweries to satisfy them. Come for wild ales, lambics, and sours. Though they usually have a few guest beers on tap.